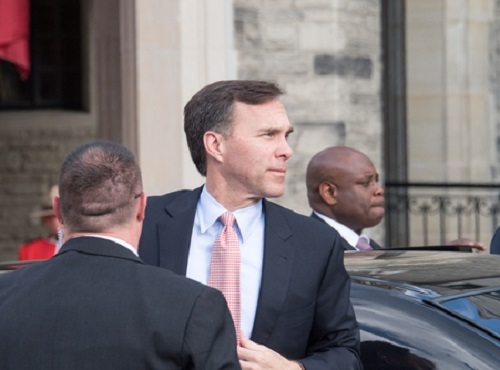 In its continued campaign to improve the social safety net supporting Canadian home owners, the federal government is currently mulling a regulators’ lender loss sharing proposal, Finance Minister Bill Morneau said on Friday (January 13). The Ministry will provide its reaction to industry feedback on loss sharing (which it is soliciting at the moment) either this spring or summer, Canadian Mortgage Trends reported. “We, as you know, have been doing consultations…thinking about how we…share the risk in the housing sector. Those discussions have proceeded. We’ve had a significant number of submissions and…we’re considering those submissions now,” Morneau stated. Industry players can provide their opinions on the loss sharing proposal until February 28, 2017. Comments can be sent to the Ministry via risksharing-partagedesrisques@canada.ca. However, on the heels of the far-reaching regulatory changes late last year, Morneau emphasized that the Ministry is not contemplating any new mortgage rules at the moment. “We don’t have any measures under consideration at this stage, but we will continue to monitor to ensure that the housing market is stable and that people are protected in their important investment,” he explained.